You have big dreams for your academic future—a beautiful campus that is experiencing a historic period of growth, knowledgeable faculty, active student organizations, a thriving residential life system, and opportunities to expand your international horizons. 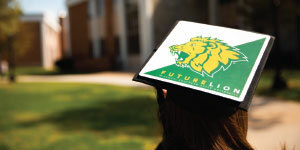 At Missouri Southern State University, you can make those dreams and more a reality. There are 140 bachelor’s degree options along with a growing number of master’s programs, approximately 90 student organizations in which you can participate, and 11 partnerships with universities around the globe for those who wish to study abroad. 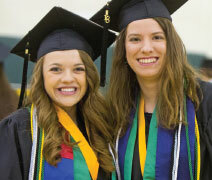 From the day you arrive on campus to the day you cross the stage to receive your diploma, Missouri Southern’s dedicated faculty and staff are here to help you every step of the way. Since 1937, Missouri Southern has provided educational opportunities for Southwest Missouri and beyond. It has evolved from an outstanding junior college to its role today as a comprehensive four-year, state-supported institution. For more than 75 years, the University has developed outstanding state and nationally accredited programs that prepare our students for the competitive and changing 21st-century society. Central to our mission is a strong commitment to international education, liberal arts, and professional and pre-professional programs while preparing our students for success in careers and lifelong learning. Academic programs are organized into four schools: the School of Arts and Sciences, the School of Education, the Robert W. Plaster School of Business, and the School of Health Sciences. The University also offers a division of Graduate Studies and Distance Learning. Many students who live outside of Missouri qualify for the University’s Lion Pride Tuition program. Students from Arkansas, Illinois, Iowa, Kansas, Kentucky, Nebraska, Oklahoma, Tennessee, and Texas are automatically eligible for the in-state rate. Once admitted, those students have the opportunity to receive scholarships as well! It’s one of the many ways Missouri Southern works to provide an excellent education that is also affordable for students. Five major building projects—totaling more than $30 million—have helped reshape the campus landscape over the last few semesters. Among those projects are a three-story residence hall complex known as the Quads, the state-of-the-art North End Zone Facility at Fred G. Hughes Stadium, a new baseball stadium, and the recently completed renovation of Reynolds Hall. The latter project has created new state-of-the-art laboratory and classroom space in the building that houses the Biology, Environmental Health, Physical Sciences, and Mathematics programs. On the horizon is a three-story addition that will offer more classroom space, a new human physiology lab, and offices. Those looking for an active life outside of the classroom will feel right at home at Missouri Southern. Joplin, Missouri, is a great place to go to college; with a service area of 400,000, it provides wonderful opportunities for internships, shopping, and dining. The Campus Activities Board offers a variety of free activities each semester, from movies and photo booths to performances by comedians, magicians, and more. Students who are focused on fitness will love the 71,000-sq. ft. Beimdiek Recreation Center, the intramural sports program, yoga and exercise classes, racquetball courts, and swimming pool. Students will also find a wide variety of registered organizations to meet their interests. Students can participate in departmental groups such as the Chemistry and History clubs, faith-based groups, and leadership groups like Student Senate and Southern Ambassadors. The MSSU Lions compete in 15 different men’s and women’s sports in the highly competitive NCAA Division II, including baseball, basketball, cross-country, football, golf, track & field, soccer, softball, and volleyball. It’s an athletic department with history and promise.